Former England all-rounder Craig White has stepped down as Hampshire's head coach, citing personal reasons for relinquishing a post he held for two seasons. The 48-year-old was appointed on a full-time basis at the start of the 2017 season, having previously worked in assistant and bowling coach roles. "Whilst it's certainly been a tough decision and one that hasn't been made lightly, spending long periods of time away from my family has become more and more difficult and I feel that now is the right time to return to be with them on a more permanent basis," White said. "I've had a fantastic six years at Hampshire and I'm proud of what we've been able to achieve as a group in that time." White's association with Hampshire dates back to 2012 and under his command, Hampshire won the One-Day Cup earlier this season. White also guided the club to the Finals Day of the T20 Blast in 2017. His resignation could pave the way for one of two former Hampshire captains, Jimmy Adams and Dmitri Mascarenhas, to take over the role. 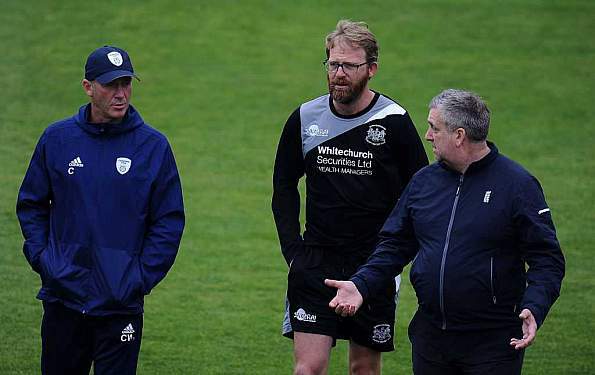 Thanking White's contributions, Hampshire's director of cricket, Giles White, said: "Craig has been an integral part of the club since joining us in 2012, firstly as an Assistant Coach and then as Head Coach, and his dedication in that time has been outstanding. "We understand his decision to step down and have been aware of the difficulties of being away from his family. On behalf of the club I'd like to thank Craig for all the hard work and incredible contributions during his time here, he will be missed on both a personal and professional level. We wish him and his family well for the future." "Whilst it's certainly been a tough decision and one that hasn't been made lightly, spending long periods of time away from my family has become more and more difficult and I feel that now is the right time to return to be with them on a more permanent basis," White said. "I've had a fantastic six years at Hampshire and I'm proud of what we've been able to achieve as a group in that time."